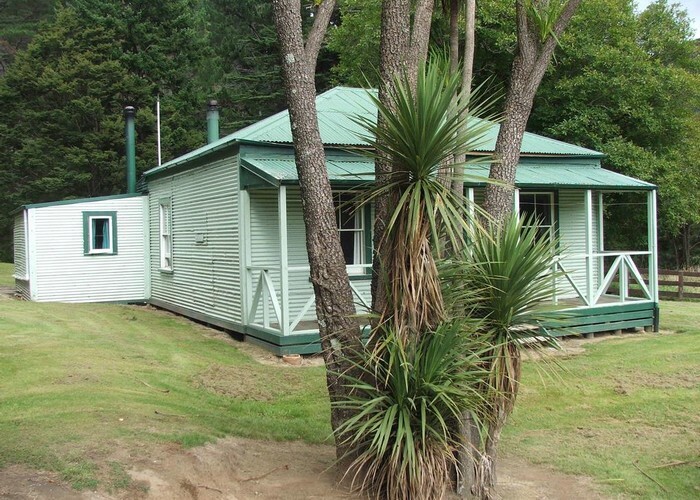 Kiwi Saddle Hut is located on the ridge 3km west of Kuripapango and some 700m above the Ngaruroro river. The hut is on the Smith Russel Track from Kuripapango to Kiwi Mouth Hut on the Ngaruroro, and also at the start of the route to Kaweka along the main Kaweka range. The hut is on the treeline at 1100m, with beech forest reaching down from Kiwi Saddle south towards the Ngaruroro. North, however, the valleys are dominated the clay-pans typical of the Kaweka ranges, and by tall Manuka. This provides habitat for Sika deer which can be heard whistling nearby on most evenings. The tops have sparse vegetation: thin dry tussock, lichens, and orchids - and are predominantly rock / fine scree. Robsons Lodge • By Mike Dymond. Kiwi Saddle Hut is owned and maintained by the Heretaunga Tramping Club. Backcountry hut passes and tickets do not apply. For overnight stays, send donations to Heretaunga Tramping Club, PO Box 14086, Mayfair, Hastings 4159 (or email htc@orcon.net.nz for bank details). Added 10 January 2007 by madpommadpom. 5 revisions, most recently 3 April 2017 by MatthewMatthew. 373 views in the past year (31 per month).